At night, I like to have my lights completely off, which cause my room to be pitch black except for my laptop screen. What settings should I use for this on f.lux? Whatever is most comfortable, but I think this is a bad idea because you're staring at the only source of light in the room. So even at the dimmest backlight setting and f.lux set to 1200K, that's still asking for eye fatigue and maybe even eyestrain. It's best to balance the ambient light with the monitor for maximum eye comfort and to avoid creating eye problems later in life. So, it's best to have the lights on, especially if you can use nice warm-colored dim lights at night. If all you have are "alerting" lights such as Daylight lights, then try to purchase the luxury of having nice warm-colored lighting at night, and make it dimmable too. As far as being able to use your computer without interfering with your melatonin production, you want the lowest brightness setting and you want the warmest color temperature you can stand. I recommend using the 'Lighting at night' menu and choosing around 1200K or 1900K. 2300K is ok too, but not if your monitor is bright. @TwoCables oh, really? I didn't know that. I have some fluorescent lights in my room that get softened a tiny bit by lampshades, so I can turn one of those on I guess. It's just that my eyes are really sensitive to light, and having multiple lights on has a tendency to make them hurt. Oh. Then you're sensitive to Fluorescent lights. Fluorescent lights strobe (blink) harshly. Most LEDs do too, but it's not as bad, and some people find them to be more like incandescent lights. Incandescent light is best though. Instead of a strobe flicker, it's a smooth constant light. Well, there is a flicker, but in slow motion it looks like a smooth fade-in and fade out instead of a sharp on/off strobe effect. An analogy could be like it's the difference between digital and analog. Digital is just black or white, 1s and 0s, but analog is smooth. It can be anything. I know, I know, incandescent light bulbs use a lot more power, but in the grand scheme of your electricity usage, is it really a problem? 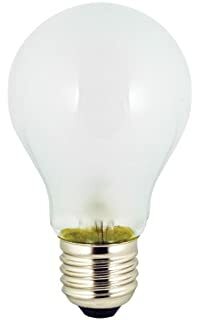 I can think of things that use FAARR more electricity than a few incandescent light bulbs. I strongly prefer incandescent light bulbs because they feel MUCH better. It's the closest thing we have to light from fire or light from the sun in terms of smooth light that doesn't blink. wait, sorry, I mixed them up. I have incandescent lights, not fluorescent. I forgot which was which.